Flower Framers of Cincinnati gathers important information from you in connection with the on-line business applications and related services. Flower Framers of Cincinnati does not require that each user give us contact and other business and personal information. Flower Framers of Cincinnati asks for information such as each applicable user name, address, e-mail address, federal employer identification number (FEIN) and financial or other accounting information. As our requirements evolve, we may ask for additional personal and/or business information from the user. All personally and business identifiable information (including, financial and billing information) that Flower Framers of Cincinnati collects through the website is used to offer and perform the services.  Flower Framers of Cincinnati will not sell, share or rent your information to third party entities. Flower Framers of Cincinnati may track and analyze non-identifying and aggregate usage and volume statistical information for internal use - information will not be provided to entities outside Flower Framers of Cincinnati. Flower Framers of Cincinnati may collect certain other, usually technical, information from visitors to and users of the website. This information is logged to help diagnose technical problems and to administer the website. The website contains links to other sites. Flower Framers of Cincinnati is not responsible for the privacy practices of such other sites. Flower Framers of Cincinnati encourages all users when they leave our site to read the privacy statements of each other site they visit. This statement applies to information collected and displayed on www.flowerframersofcincy.com. Hosting of the Flower Framers of Cincinnati website is done in a secure server environment that uses a firewall and other technology to help prevent tampering from outside intruders. To prevent unauthorized access, maintain data accuracy, and ensure the correct use of information, we have put into place appropriate physical, electronic, and managerial procedures to safeguard and secure the information we collect online. Flower Framers of Cincinnati reserves the right to change this statement. Questions regarding this statement or the practices of Flower Framers of Cincinnati should be directed here.